Leaving your banker’s office with the news that your business loan has been declined is no fun. And if you’ve been working with a bank that focuses only on conventional loans, as opposed to various government guaranty programs, you may be missing out on attractive financing alternatives. Don’t rely on your banker to provide all the education you need in this area. Even if the financial trends in your company are positive, credit is still tight for many Los Angeles and Southern California businesses. You will benefit by learning the various options available with a government guaranteed loan backed by the Small Business Administration (SBA). SBA financing offers an attractive way for banks to serve their customers, but this is a specialized form of lending that takes a banker with experience and focus on the various programs available. Since not all banks serve the SBA market, entrepreneurs and business owners should have a working knowledge of SBA lending and recognize that it can be a tool to get funds they may not otherwise have access to. Knowledge of the following issues will help you know if SBA financing is right for your company. A common misconception with small business owners is that, although they may be dealing with a bank, the SBA is the actual lender. The SBA exists to help the process, and acts as a guarantor of a portion of the loan, but it does not fund the loan proceeds. The guarantee amount varies based on the program, but the end result is that a bank is able to make a loan that it would most likely otherwise decline. The various guaranty programs are the way the SBA fulfills its mission of promoting small business growth, a fundamental driver of the nation’s economy. While a common maxim in the finance world is that the SBA can't make a bad loan good, it does help banks over several hurdles. For example, most banks want at least a three-year profitable track record in business, with comfortable debt service coverage ratios and adequate collateral. A shortfall in any of these areas diminishes your chances for conventional loan approval. The SBA guarantee allows the bank to lend against projections for a startup company, or make a loan without full collateral protection. § General Program (GP). Any bank can submit a loan for approval to the SBA under the GP program, where the SBA makes the final credit decision. The bank has no approval authority of its own in this case. § Preferred Lender Program (PLP). As a small business owner with limited time and a need for money, you’ll be best served by working with a PLP bank. While the SBA will work with any bank, the agency has a process through which banks can apply for preferred status. This classification gives the bank delegated authority to approve the loan, speeding up the time to loan closing by several weeks. Lenders achieve this status after proving their capability to the SBA over time with quality loans and strong volume. Not all SBA loan types are created equally, and as a borrower you should be aware of the two most common—the 7(a) and 504 programs. While there is some overlap, the programs serve different borrower needs. Both are popular for purchasing owner-occupied commercial real estate and equipment, for example. Terms can be much more favorable than with conventional bank loans, generally up to 25 years, although some may be as short as seven years. For starting or purchasing a business, working capital, or inventory financing, the 7(a) program is the way to go. For more capital-intensive projects, such as ground up construction or heavy equipment purchases, the 504 program is an attractive option. § Organized as a for-profit entity. § Meet size standards based on industry type. § Engaged in business in the United States or its territories. § Use proceeds for sound business purposes (SBA website lists ineligible business uses). Thanks to the Small Business Administration, being declined for a conventional bank loan is not the end of the road for getting the funds you need. While an SBA guaranty cannot make a bad loan good, the knowledge that the full faith and credit of the US government is in business with its borrowers helps many banks get past the credit hurdles that would otherwise stop a deal in its tracks. You have a business to run, competition to outsell, and plenty of other demands on your time. Having to stay up to date on the latest banking options should not be one of them. There’s a lot to know about the various SBA programs, and the more you know the better off you’ll be when sitting in your banker’s office telling your story. 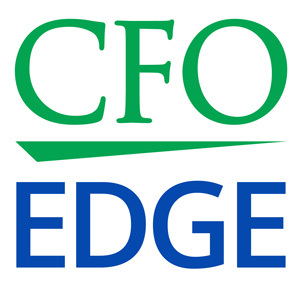 You may not have time to do in depth research, but consulting with an outsourced CFO services provider may be the solution you need for specialized SBA lending expertise.